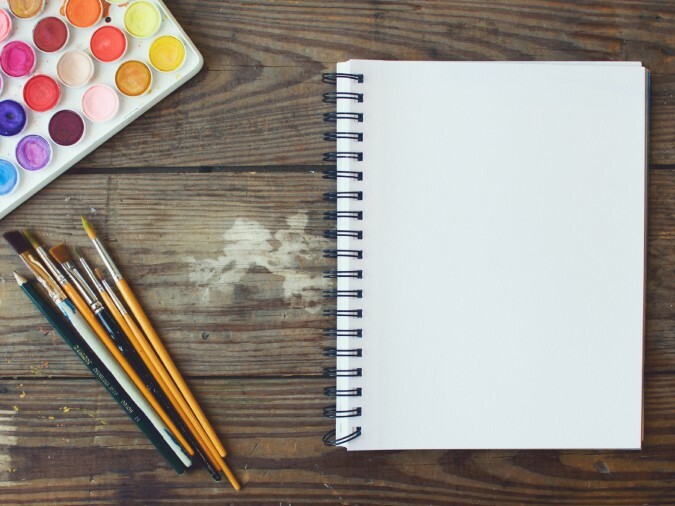 A yearbook style guide can help you keep a balanced, consistent style throughout your book. Not all by itself, mind you: You still need to use it. And create it. In our experience, it’s the second half of that two-step process where people get hung up. After all, a yearbook’s a big thing. There’s a lot going on in one: Headlines, captions, stories, photos, layouts, mods, clip art, so on and so forth. And each element requires it’s own design choice. Add up all those elements and all those choices, and you’ll see that creating a yearbook style guide can be a lot of work. That’s where this post comes in. Inside this post, we’ll cover what you should include in a yearbook style guide, why you should have one, and how to create and distribute it. Plus, we’ll even give you access to a free, ready-made yearbook style guide template you can use to jumpstart your own. Read on. What’s a Yearbook Style Guide, Anyway? 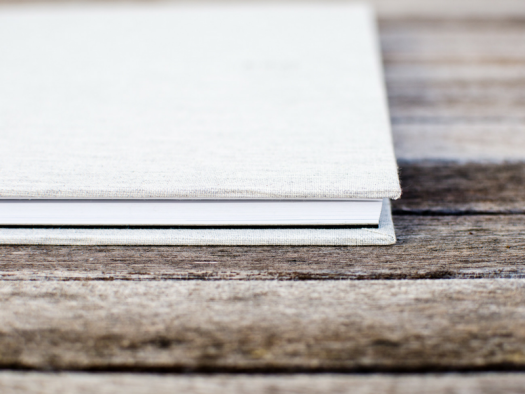 A yearbook style guide provides guidelines on how your yearbook should be presented, and covers two major areas: design and writing. Used correctly, it lets you establish and enforce a consistent style throughout your yearbook. It’s an easy way to communicate to your yearbook team how your book should look and what should be done in specific situations. It’s the proactive way to coach your team and volunteers through the layout and design process. But a yearbook style guide works in another way, too: It lets you develop a vision for your book early on. And that alone has a huge advantage. Armed with a style guide that outlines, for example, what fonts and colors they need to use, your team gets freed to express creativity on stuff that really moves a book forward, like developing coverage ideas, getting great photos and quotes, and designing great layouts. Think about it: If everyone is fretting over font choices and color palettes, they’re going to have a lot less time to do the stuff that makes an impact. Eliminate that distraction for them. If you’re going to do that, though, you need to cover all your bases and not leave room for interpretation. To do that, focus on locking down font choices, color choices, and how specific aspects of your layouts should look (like whether all photos need captions and, if you have a caption, what that looks like). 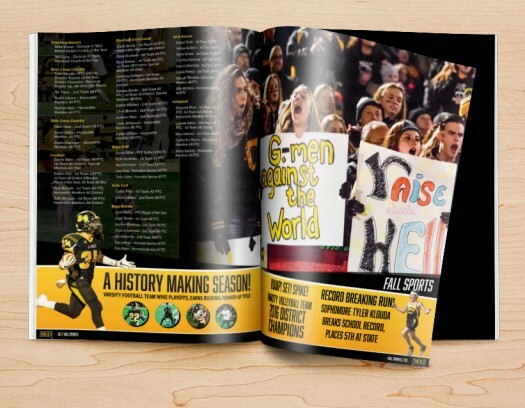 Though other aspects of your yearbook’s appearance can be included as well, these are the three biggest areas for mistakes and inconsistencies. So, let’s focus here. We’ve written whole posts about yearbook fonts, so, if you want a deep dive, head over there and check it out. If you just want to know what you need to for purposes of a yearbook style guide, though, stick here and keep reading. 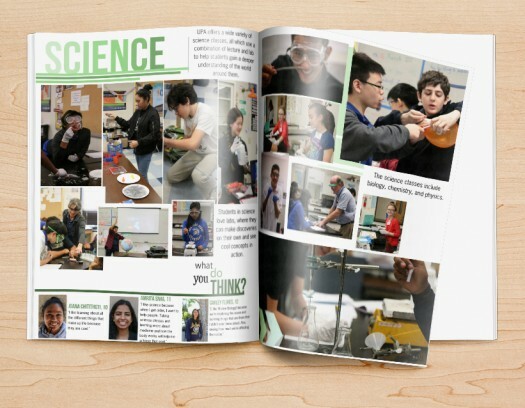 The single biggest temptation when it comes to designing a yearbook is adding personal elements of creativity. And the easiest place to start? Fonts. There’s hundreds of ‘em and everyone has a preference. Here’s the thing, though. Constantly changing them impacts your readers’ abilities to comprehend what’s going on. (Don’t believe us? Science says so.) To avoid that very unhappy situation—and to make your book look better— limit your fonts. Two is plenty, three is the absolute max. Your fonts should complement each other. So, ideally, you’ll have one serif font and one sans serif font. If you choose to include a third font, you’ll probably end up with a script or something fancy. Your primary font should be used for page elements, like headlines, subheads, and page numbers. Your secondary font should be used for copy elements, like body text, captions, and pull quotes. If you’re using a third font, use it sparingly and only for specific elements. Maybe it’s only used when you’re using a headline and subhead combination. Or when you’re dedicating full pages to section dividers. You might be thinking, Two? Three? But that’s nothing! If so, take a deep breath. We’ve already established that you’ll have two (and maybe even three) fonts on each page. Add to that the variety of sizes you’ll need and color choices, and you’re going to end up with way more variety than you thought for any given page. We mentioned above how each font should have a specific set of uses. In order to bring some order to your pages, you’ll want to assign each of those uses a font size. Sounds basic, but you can’t have a page number on one page being larger than a page number on another, right? When it comes to picking font colors for your style guide, your focus shouldn’t be on theme or design or creative expression. It should be on readability. That’s right: Start with making sure it’s easy to read the words on the page, then worry about the other aspects of color. How you pick colors is something we’ll cover in the the “choosing colors” section in a moment, but keep in mind that you want to keep your options limited. (Much like your font choices.) And, again, focus on matching your colors to your fonts’ uses so that your readers begin to recognize patterns and hierarchy. We mentioned above that focusing on readability is the first step to choosing font colors. That, obviously, applies here, too. When choosing colors, you’ll want to focus on picking what causes the least amount of strain on readers’ eyes. Then, after that, choose what aligns best with your theme or design or creative expression. Of course, picking colors is the fun part. As a rule of thumb, you’ll want to limit your color choices to three. (Plus your black or dark grey for body copy fonts.) We know you’re probably getting tired of this advice, but it really does get you better results. 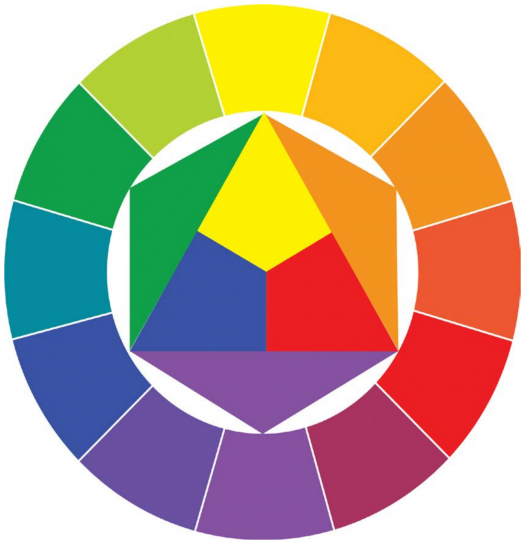 To get the absolute best results for a color palette, use a color wheel. 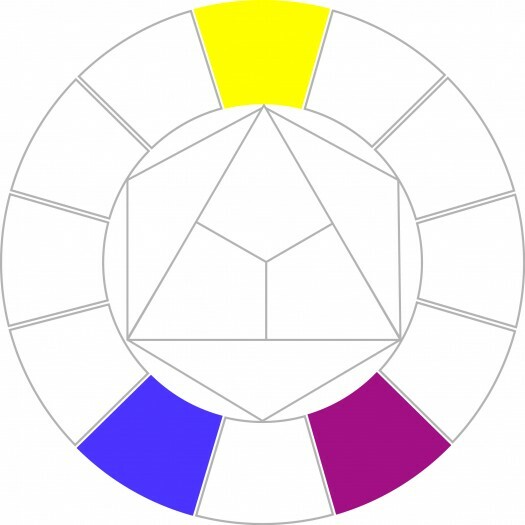 When you’re using a color wheel, start with the color you like the most and plan to use the most. Not a bad start, right? You can tinker from there, but this is the easiest, sure-fire way to get some good ideas of what colors you should use in your book. Pay close attention when reading a newspaper or magazine and you’ll notice little things are always the same, like how a reporter refers to someone on second reference (Is it “Mrs. Smith” or just “Smith,” for instance?). These consistencies aren’t just coincidences. They’re part of an organized effort to keep things the same. And that’s where the second part of your style guide comes in. See, even writing needs a set of rules to keep readers focus. When it comes to news sources, they’re likely using The AP Stylebook. Academics and trade publishers often use the Chicago Manual of Style. There are plenty others, too, including some made by publications or publishing houses themselves. Given all the other work that goes into creating a yearbook, we’d recommend you not spend hours upon hours creating your own, in-house style guide. Instead, use the AP’s. It’s unbelievable comprehensive and you’ll likely only need to make a few minor tweaks and adjustments to accommodate your yearbook. Aside from that, there are a couple other things you should consider. Come up with a basic agreement with your team regarding the tone, jargon and voice you’ll incorporate into your yearbook. A basic outline will do just fine. Just be sure to review each section of copy and ask yourself if it is consistent with your agreed upon style. In addition to stylistic stuff like how you refer to someone on second reference and how you identify a student’s grade (is it “Smith, 11,” or “Smith, ‘18,” or “Smith, a junior,” for instance), you’ll want to nail down some more nuanced stuff, too. All writing has at least one theme and how that theme is approached is the tone. Tone is not mood. Mood says more about how someone feels, but tone refers specifically to how you feel about the subject. Your tone will be shaped by words and images. What will your yearbook tone be? Playful, academic, serious, nostalgic? Be cautious when using jargon, slang, or idioms in your yearbook. While they might feel accessible to you, they can be difficult for outsider to understand. And your book should be easy for everyone to understand. It’s better to use everyday English where you can. While we’ve covered all this stuff in our free yearbook style guide template, we also totally recommend checking out Voice & Tone, a style guide for Mailchimp, the email marketing platform. It’s really, really well done. Never use a metaphor which you are used to seeing in print. We’d say these are worth including. Now, the only thing left is to create that style guide. Use our template, and you’ll be well on your way to creating a more balanced, consistent style throughout your book.